Welcome back to NUS! Hope everyone had a wonderful summer break. (: As we embark on a new year, recruitment for a whole new committee for the NUS Geographical Society begins! 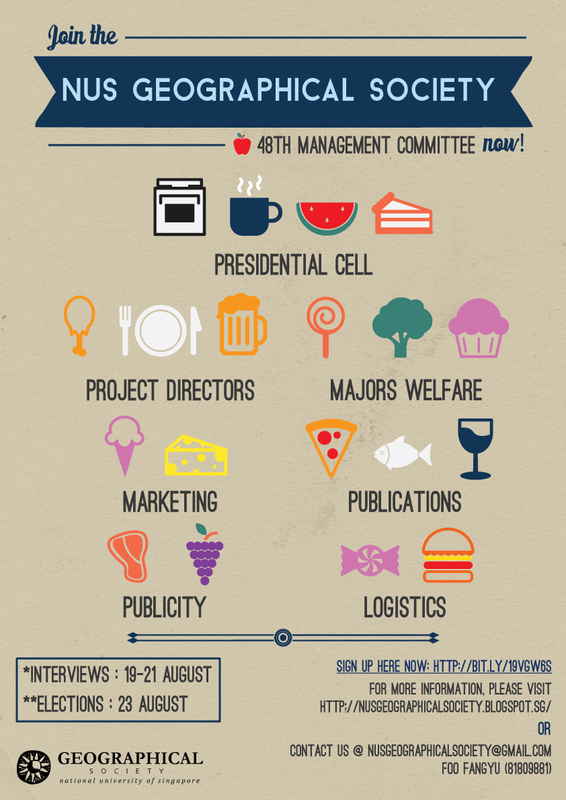 To apply for the 48th Management Committee, please click http://bit.ly/19VGw6s and fill in the online application form. Do note that the deadline for application is on 18 August 2012 (Sun) at 11.59 pm. Last but not least, on behalf of the 47th MC, I would like to thank you for all the support and help you have provided us with throughout the entire AY. And, we hope you have benefited from the society activities and initiatives thus far.